Ensure your home is a healthy home, have your home tested today. RadonProz was founded in 2012, based on the principle of creating safe and healthy homes and workplaces for all people, through radon mitigation services. As multi-year members of CARST, and C-NRPP certified, RadonProz has proven ourselves to be leaders in the radon mitigation field. We have earned a reputation for providing quality mitigation systems, utilizing the latest in innovative technologies and consistently exceeding guidelines set out by both Health Canada and the World Health Organization. Our attention to detail, individualized approach to service and expertise are unsurpassed within the industry. Every installation is completed by a knowledgeable expert in the field and we guarantee reduction of radon levels to as low as reasonably achievable (ALARA). We are dedicated to providing a service and experience that is personable, efficient and effective in creating safe living and working environments for all. "I had RadonProz install a mitigation fan to remove high levels of radon in my home. I had also purchased a monitor for my own use and to pass on to friends and family. My levels were quite high and after the installation a few weeks ago my readings have drastically gone down to less than 35 Bq/m3. The results were better than expected. As well Chris the installer was very professional. Answered all my many pesky questions with professionalism and enthusiasm you do not often see . His work was very clean and well done. Working with Tod was also a very professional experience and I fully recommend this company and getting this work done. Your health is worth so much ." 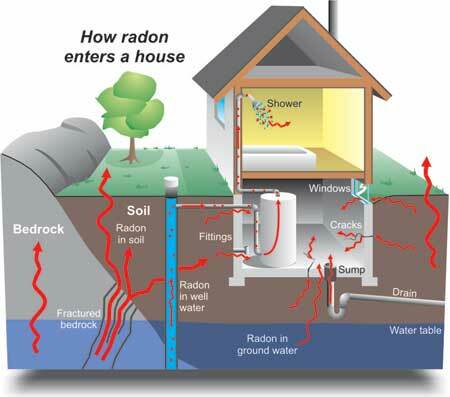 "Radon is a radioactive gas that you cannot see, smell or taste and can get into your home undetected. 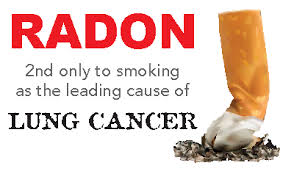 It is the second leading cause of lung cancer after smoking and the leading cause of lung cancer for non-smokers. When radon escapes from the ground into the outdoor air it is diluted to low concentrations and is no cause for concern. However, when radon enters an enclosed space, like a home, it can accumulate to high levels and become a health hazard..."